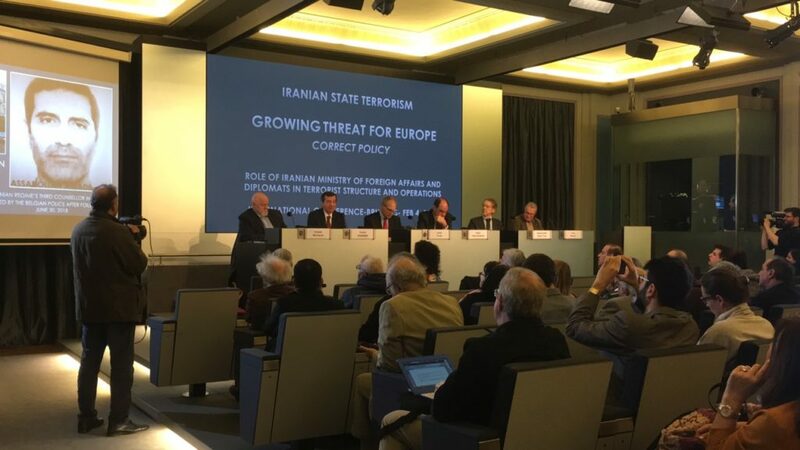 Thank you all for coming to this conference today, in Residence Palace in Brussels which we will discuss the rise of the Iranian State-Sponsored Terrorism and the threat it poses to Europe and the US. The International Committee In Search of Justice, ISJ, which I lead is a co-sponsor of this meeting. We formed ISJ in 2008 when I was Vice-President of the European Parliament. It is now a registered NGO in Brussels which we have published several papers and reports on Islamic Fundamentalism and Terrorism. Other sponsors of today’s conference include: the European Strategic Intelligence and Security Center (ESISC) and the Alliance for Public Awareness (APA). As you see we have a very distinguished panel here today. We are delighted to have the honourable Louis Freeh, a US attorney and judge but better known as the former Director of FBI who served under Presidents Bill Clinton and George W. Bush. Director Freeh has had many years of experience in dealing with terrorism and especially Iranian state-sponsored terror. From Iran’s main democratic opposition, we have Mr Farzin Hashemi, deputy-chairman of the Foreign Affairs committee of the National Council of Resistance of Iran who will provide new information on terrorist activities of the mullahs’ regime. 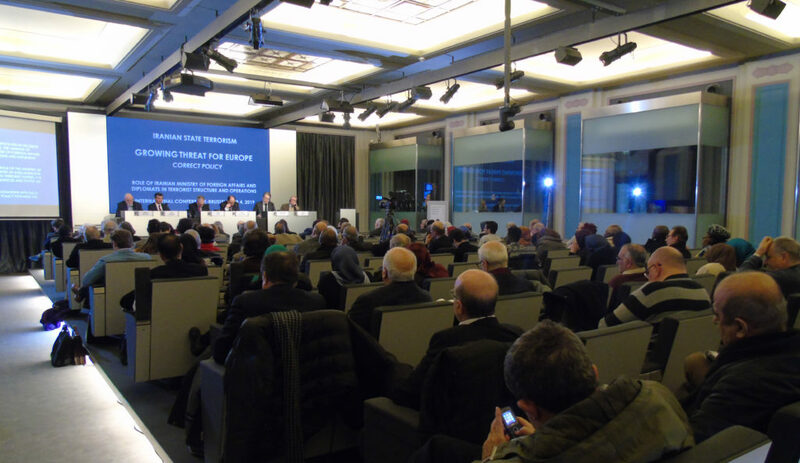 We have a prominent European dignitary from Italy, honourable Giulio Terzi, former Italian Foreign Minister who will present us a European point of view and that what EU should do with Iran. We have from France Mr Yves Bonnet, former Director of DST, the French domestic intelligence agency, responsible for counterespionage and counterterrorism. He is also author of several books and numerous articles. And finally, we will have Mr Claude Moniquet, Co-founder and CEO of the European Strategic Intelligence and Security Center, and a prominent counter-terrorism and Middle East specialist who will present to us a new report that he has been working on after the recent Iranian terror plots in Europe. I will ask the speakers to speak around 10 and maximum 15 minutes. Before giving the floor to our panellists, I would like to make a few remarks on the subject of our discussion today. 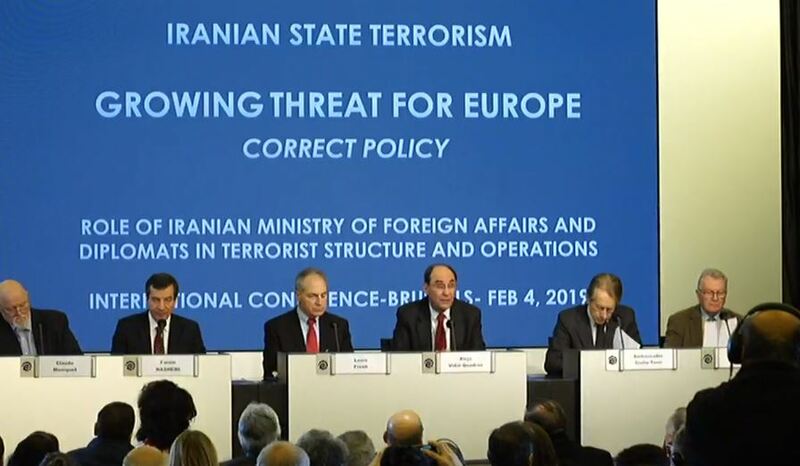 In the past year we have witnessed multiple Iranian terror plots in Europe and in United States. 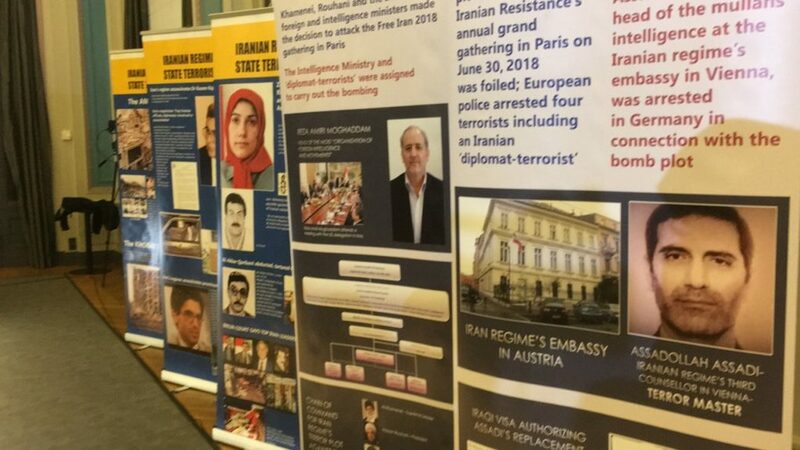 A number of Iranian agents and diplomats have been arrested and are facing trial in Europe and in the US, 5 other diplomats, or I should say diplomat-terrorists, including a serving Ambassador have been expelled from Europe for their participation in terror planning on European soil. We often hear from EU’s diplomats that this is somehow the work of a few rouge elements within the regime who conduct these terror plots without the knowledge of the Iranian government. They often claim that President Rouhani and his Foreign Minister Javad Zarif are unaware and the Iranian state should not be held accountable for these terrorist activities. Let me quote Mr Zarif himself, to demonstrate the absurdity of this claim. In a recent debate in Iranian parliament on the confidential annexes to the nuclear deal, Zarif said: “It is not true that we acted against the will of the Supreme Leader..” “We are not a system in which people can act on their own […] We cannot do anything in this country without having to report it.” End of quote. So, we have Iran’s foreign minister publicly insisting that Iranian regime is NOT a system where people can act on their own. But the officials in the EU’s external action services and Mrs Mogherini and her colleagues, continuously try to hide the truth. I should also mention that some of these so-called diplomats who are accused of terrorism have been close colleagues of President Rouhani and have accompanied Mr Zarif in diplomatic meetings. Also, when we look to the density of these terror plots, it must then be a very rare coincidence that several European capitals and American cities were targeted all over the course of a few months leading to the arrest or expulsion of at least six Iranian diplomats from Europe only in 2018. Therefore, all available data, both the remarks of Iranian officials as well as the facts on the ground leave us with no doubt what so ever that we are faced with the rise of Iranian State Terrorism targeting Europe and America and we must take immediate actions to counter this terrorism to protect our own citizens and our countries. Despite the reluctance of Mrs Mogherini and her colleagues, the situation got so bad that the European Union last month unanimously decided to impose sanctions on Iran and added the Direction of Internal Security at Iran’s Intelligence Ministry to EU’s list of terrorist organisation while freezing the funds of two of its officials. But the question is why only a branch of the Intelligence Ministry and not the whole intelligence ministry has been added to the terrorist list? 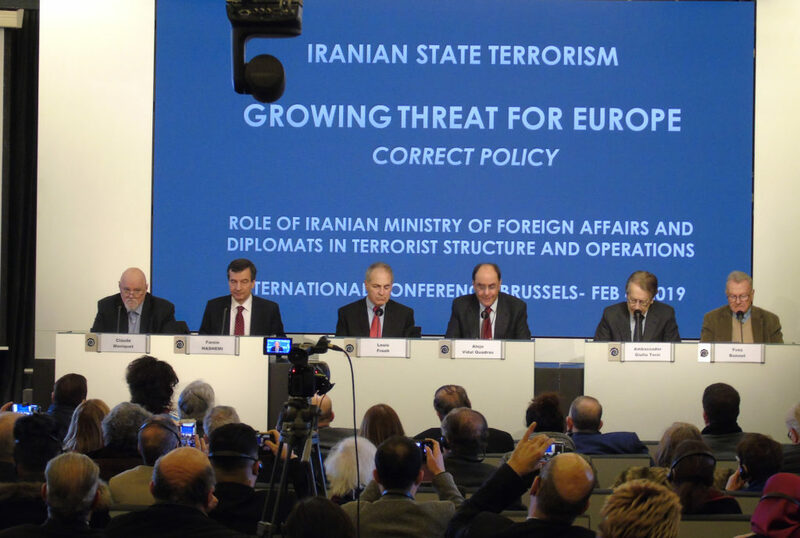 Why doesn’t the EU blacklist the Islamic Revolutionary Guards, IRGC, that is already blacklisted by the US and is responsible for conducting so many terror plots on foreign soils? And why not sanction Iran’s Supreme Leader and President, who are the key decisionmakers and responsible for many of these assassination plots? And if the EU is now very rightly concerned of Iranian terror on its soil, why do they continue their trade and business with the regime and even introduce a new mechanism to help companies bypass the US Sanctions on Iran? We cannot have business as usual with this regime which has clearly received a green light from the western appeasement policy, to target civilians in Europe and USA. The EU leaders keep insisting that the Nuclear Deal with Iran remains a European security interest. But don’t they realise that all these Iranian assassinations and bomb plots in Europe happened between 2015-2018, just after the nuclear agreement was signed? So, one could argue that the nuclear deal, instead of providing us more security, in reality contributed to ease the pressure on Tehran and gave it such security assurance at home so it could focus its attention on hunting down its opponents abroad.